PALM COAST, FL. – Our three-month stay in this ocean-side community between St. Augustine and Daytona Beach was much different than our previous three winters, spent in Sarasota, Naples and Port St. Lucie. In this case, “different’’ means generally better golf-wise with one notable exception. We played lots of golf in cold (50 degrees), windy weather, and that’s something we rarely faced in the other, more southerly stops. The less-than-ideal weather –much like fall golf in Illinois — was never bad enough to keep us from playing and that one drawback was overridden by two other factors. Courses in this area offered much more in the way of variety and affordability than we experienced the previous three years playing our recreational rounds in the heart of the Sunshine State’s tourist season. This area is called Florida’s Historic Coast because St. Augustine, settled by Spanish explorers in 1565, is America’s oldest city. There’s over 60 historic sites there and is a great location for more than just golf. 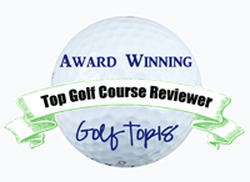 Still, recreational golf addicts need their golf fixes, and we got it here. We played 18 rounds between Nov. 28 and Feb. 28, and they didn’t include visits to the most famous course in the area (TPC Sawgrass in Ponte Vedra) or the only layout jointly designed by legends Arnold Palmer and Jack Nicklaus (King &Bear in St. Augustine). We had played those courses on previous visits and our ultimate goal was to experience the widest variety of golf the area had to offer. Our self-imposed “previous visit’’ rule also kept us from returning to one of the best-regarded public layouts, St. John’s in St. Augustine. 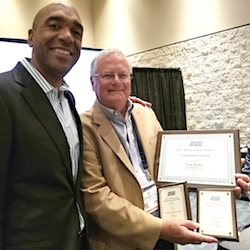 Still, we covered a good cross section of courses in the immediate area and stretched our experiences with visits south, to courses the Orlando’s western suburbs, and north, to layouts near Amelia Island. As has been the case in previous years, we’re rating the courses strictly from our enjoyment playing them. We’re downplaying the cost factor, since greens fees vary so much –day to day and even hour to hour. Comparing the most expensive courses (some had greens fees slightly over $100) to the lowest ($25) is like comparing apples and oranges. Still, it should be noted that most of the public (non-resort) courses were priced in the $30-$40 range, cart included. 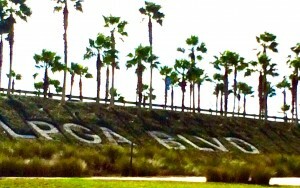 That was much more affordable than any of our previous Florida destinations, and many offered the option of walking. That was also a rarity elsewhere. 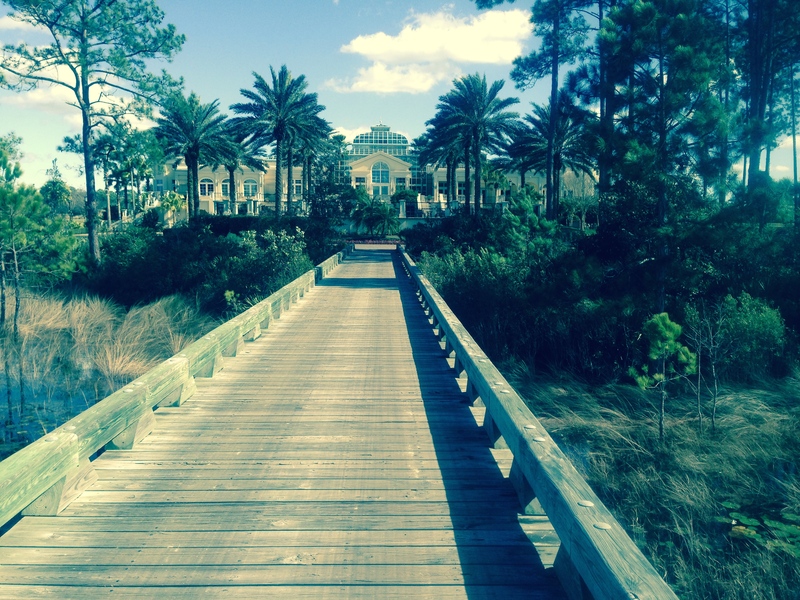 A speeding train diverted our attention at Daytona Beach’s South course. 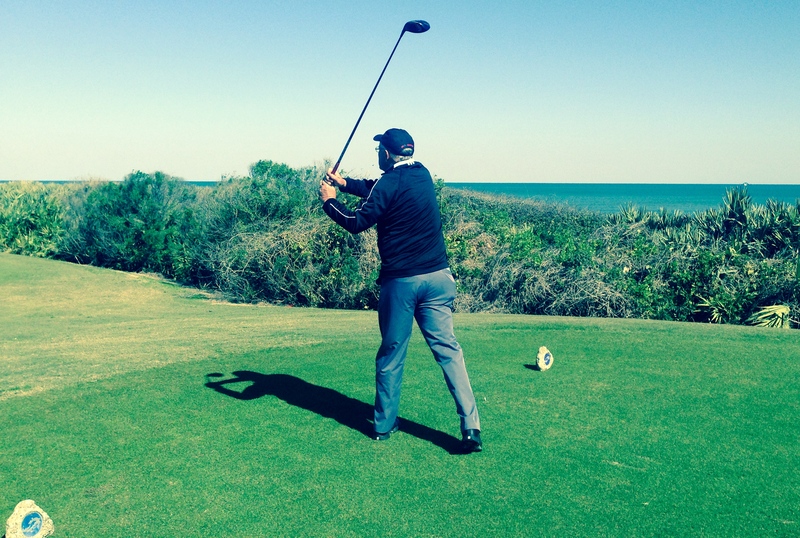 Each round in the Historic Coast was memorable and enjoyable – and generally for different reasons. In fairness, weather conditions and general atmosphere on the particular day of play probably influenced our rankings. That said, here’s how we rank the courses we played on Florida’s Historic Coast. 1, SLAMMER & SQUIRE, St. Augustine. This is one of two courses at World Golf Village, a must-stop for golfers regardless of the playing options available there. The nearby CaddieShack restaurant also enhances the overall experience. Slammer & Squire is a tribute to Sam Snead and Gene Sarazen. It was probably the best-conditioned course we played. While many might prefer the longer, more challenging King & Bear layout, we lean towards Slammer & Squire because of its more sporty nature and proximity to the other World Golf Village attractions. 2, OCEAN HAMMOCK, Palm Coast. One of two courses offered at the Hammock Beach Resort, which – with Innisbrook in Tampa and Reunion in Orlando – is part of the highly respected Salamander Hotels and Resorts Collection. A Jack Nicklaus Signature design, Ocean Hammock lives up to its name with six views of the Atlantic Ocean, and you can’t beat holes on the water for memorability. Nicklaus also labeled the last four holes as “The Bear Claw’’ – a challenging finish to anybody’s round, but especially impactful when you play the course on an extremely windy day. A real tough call between Slammer & Squire and Ocean Hammock. Both have their unique charms. 3, THE CONSERVATORY, Palm Coast. This Tom Watson design is the other 18-holer offered by the Hammock Beach Resort, but the courses are about five miles apart. Both received accolades from Golf Digest and were used for PGA or Champions Tour events in their earlier years. The Conservatory, which has the most elaborate clubhouse of all those we visited, is the centerpiece for a proposed golf community that hasn’t materialized as yet. At 7,726 yards from the back tees, it’s one of the longest courses in Florida and has one of the highest slope ratings (78.2). The Big Ten Conference played its Match Play Championship at the Hammock Beach courses in February. This Riviera wasn’t like the one in California, but was still a very nice place. 4, LPGA INTERNATIONAL, HILLS COURSE, Daytona Beach. One of the two 18-holers near the Ladies PGA headquarters, I was told the Hills (designed by Arthur Hills) was much more challenging than the Jones Course, a Rees Jones design. Both are used for the LPGA’s Qualifying School competition each fall. The Hills has generous fairways but lots of forced carries off the tees and quick greens. It’s a fun course with a fine finishing hole – a dogleg left par-4 that features an approach to the green that can make or break your round. 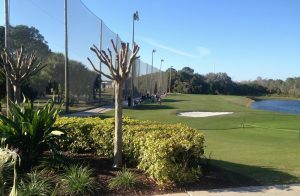 The LPGA connection is significant (it’s prominently promoted off I-95) and the facility is well equipped as an instructional center. It even has practice holes. 5, AMELIA RIVER, Fernandina Beach. The first hole, as well as the fifth and 13th holes, run beside the Fernandina Beach Municipal Airport. That didn’t strike me as a plus, but there are some beautiful holes as well. The designer was Tom Jackson, who has done most of his work in his native South Carolina (he has seven designs in Myrtle Beach). Formerly known as Royal Amelia, the Amelia River layout’s signature hole is No. 17 — a par-3 to an island green — and the finisher is a strategic three-shot par-5 that ends at the edge of the Amelia River. The DubsDread course in Orlando included a big net to keep driving range shots from interrupting play. 6, HALIFAX PLANTATION, Ormond Beach. The first course we played during our stay here, it was excellent from all ends –- affordability, conditioning, clubhouse setting and amenities. Bill Amick opened the oldest golf architectural office in Florida in 1959, and designed this course, which is located near that office in Daytona Beach. The course is an interesting layout that runs through a residential community. This one definitely merits a return trip. 7, DUBSDREAD, Orlando. We had to make this one, as its name spawned the name of the much more famous No. 4 course at Cog Hill – the long time Chicago home of the Western Open. This DubsDread is much older – a Tom Bendelow design in 1924 – and is much shorter (6,153 yards from the back tees). Very playable for a wide variety of players, it was obviously a favorite of the locals. It was one of the rare courses that was packed when we played there. 8, DEBARY GOLF & COUNTRY CLUB, DeBary. We strayed from the area to visit this Lloyd Clifton design from 1990 because the club had just been taken over by ClubCore, the Texas-based firm that moved into Chicago during the winter at both Ravinia Green, in Riverwoods, and Rolling Green, in Arlington Heights. 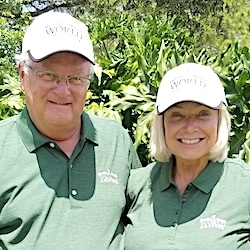 ClubCore was in the process of doing good things at DeBary, which had hosted qualifying events for the PGA Tour, U.S. Open and U.S. Senior Open a decade or more ago. 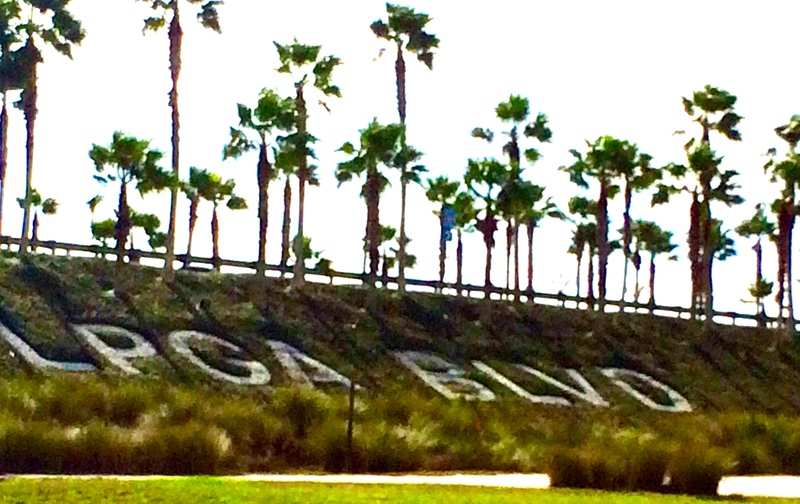 Motorists on I-95 were alerted to LPGA International’s two courses in Daytona Beach. 9, RIVIERA, Ormond Beach. 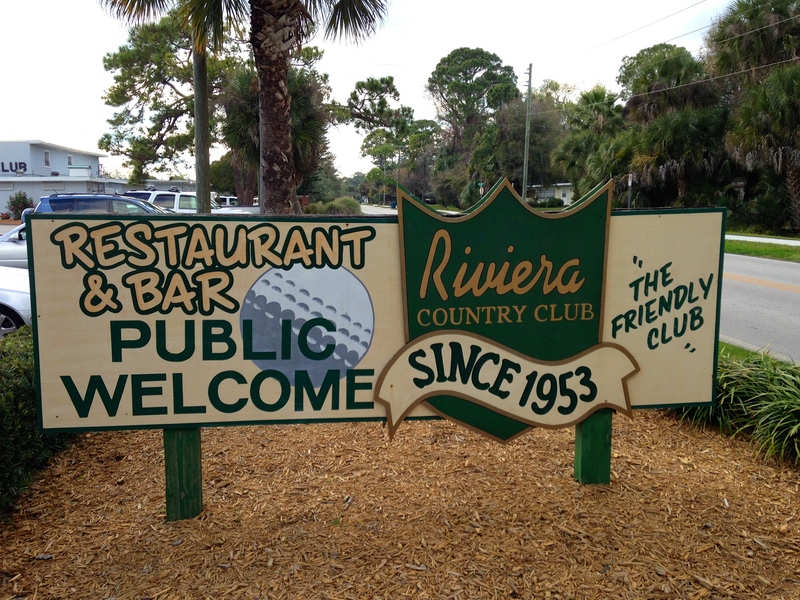 Family-owned and operated since 1953, Riviera proclaims itself as “the friendly club’’ on its entrance signage and it was that, both in greens fee ($32), the play on a crowded day and in the clubhouse lounge afterwards. The most fun part of the course, which measured just 6,250 yards from the tips, were the humps in the greens. Though obviously not in the same category as its California namesake, it’s also obvious that — in these difficult economic times — the golf world needs more operations like this Riviera. 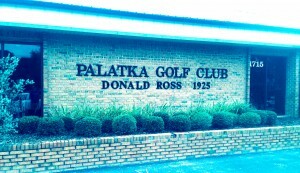 10, PALATKA GOLF CLUB, Palatka. This is a Donald Ross design from 1925, a fact clearly promoted on the outside of the clubhouse. Made challenging by its small, turtle-back greens, it’s been the home of the Florida Azalea Amateur since 1958. There were lots of doglegs and waste bunkers with a few blind shots mixed in and moss hanging from some of the trees. A long-time Donald Ross fan, I felt this course was one of the best resemblances of a Ross original creation. 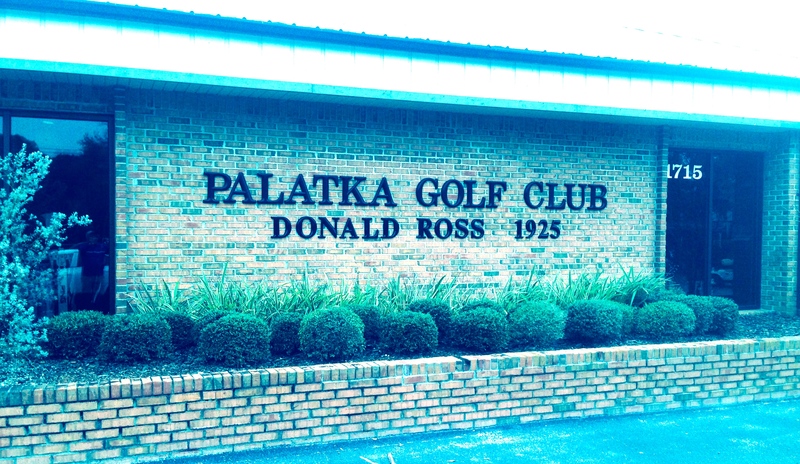 Having Donald Ross as designer was a plus for Palatka. 11, NEW SMYRNA, New Smyrna Beach. This municipally-owned layout is one of five courses played on this trip that were part of the Florida Historical Golf Trail, a state-wide conglomeration of 50 courses that have been continuously accessible to public play for at least 50 years. This one, opened in 1948, was one of Ross’ last designs. The famed architect died a few months after New Smyrna’s opening. 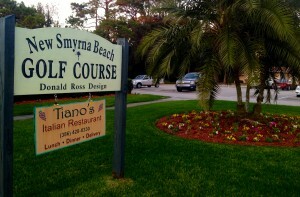 The course is now notable for its white sand bunkers and the Italian restaurant in its clubhouse. 12, DAYTONA BEACH, SOUTH COURSE, Daytona Beach. Part of a 36-hole municipal complex that gets heavy play in one of Florida’s major cities, the South layout is another Ross design. While very playable, it had one most notable feature—a train track that ran right through the course. We were there when a train came roaring through with its horns blowing. I’m told the North Course is the more challenging of the complex’s courses. 13, RIVER BEND, Ormond Beach. This one had tightly-mowed fairways with a helicopter airport adjoining the course and a nature center across the street. Also memorable was the rickety bridge over a highway that was needed to get you from the No. 3 green to the No. 4 tee and the palm tree that was in the middle of the No. 6 fairway. 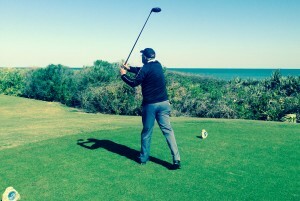 New Smyrna Beach was one of the best Florida Historical Golf Trail offerings. 14, INDIGO LAKES, Daytona Beach. This layout had just come under new management and its pub held its grand opening the day before we visited. The fairways were wide, the greens unusually fast for the area. There was also a nine-foot alligator resting beside a pond off the 17th fairway. Unlike our other Florida stops, we didn’t see many alligators on these courses – but we will remember this big one. 15, PALM HARBOR, Palm Coast. Managed by Chicago-based KemperSports, this course opened in 1973 in what was to be a centerpiece for a planned community. Now it’s a busy city-owned municipal course with a big practice range and a particularly friendly staff. It’s also in the process of change, with home construction underway beside some of the holes. Most unusual about this layout is that you go past the clubhouse to get from the No. 4 green to No. 5 tee. You also make the same journey in the more traditional spot in the rotation — between nines. The finish to a round at Conservatory came with a stunning ride to the clubhouse. 16, PINE LAKES, Palm Coast. This is an Arnold Palmer design from 1980, a good layout with interesting contours on the greens. But, it had undergone a recent management change and the conditioning wasn’t good. It did offer a nice view of the 18th green from a huge glass bay window from the clubhouse. 17, ROYAL ST. AUGUSTINE, St. Augustine. We liked the rich sound of the name, the merchandise in the clubhouse and the low greens fee ($25). But this was a goofy layout, starting with the very first hole, as the course meandered through streets that featured some interesting homes. 18, CYPRESS KNOLL, Palm Coast. A Gary Player design, this course was once under the same ownership umbrella as Pine Lakes and Matanzas. We were told that Matanzas, a Palm Coast course which had since closed, was the best of that trio when all were in operation. Cypress Knoll was also in the process of a management change and had conditioning issues, which was reflected in its $25 greens fee. The back nine was much better than the front in both design and conditioning. FINALLY, we couldn’t include this one in our rankings. 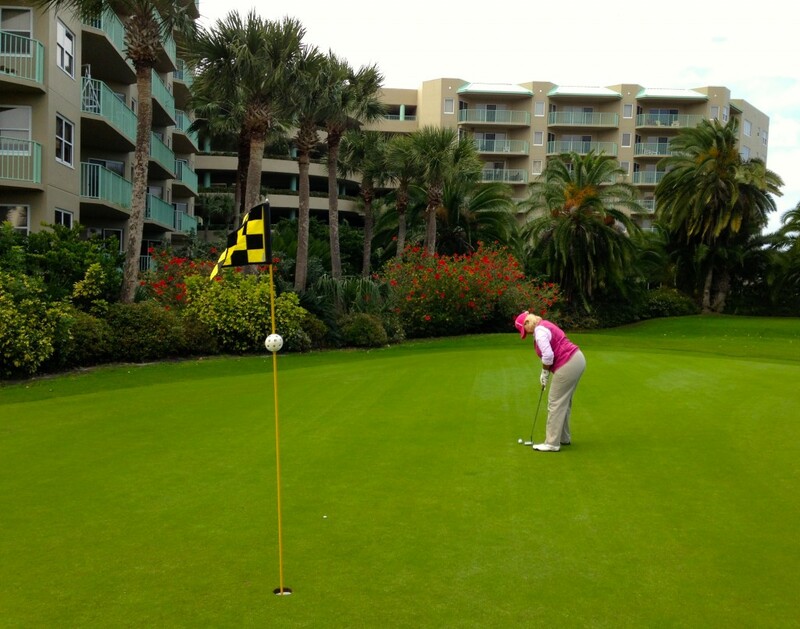 Oceans Golf Club, in Daytona Beach Shores, has only 13 holes. The longest is 135 yards, the shortest only 40. But this walking-only course, which wanders through high-rise buildings and botanic gardens, was every bit as enjoyable as all the others we played on the trip. The backdrop at Oceans Golf Club differed from the other courses we played on the trip.